William Hobbs Barnard was born about June 1843 in Ramsbury, Wiltshire, England , son of William Barnard and Louisa Hobbs.1 Sometime before 1851 William Hobbs Barnard was known as "William Hobbs Barnett." 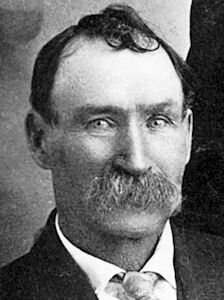 Sarah Ann Barnard and Ancell Cripps and their family emigrated on 6 December 1887 from London, England , on board the Duke of Argyll, arriving in Brisbane, Queensland, on 4th February, 1888. [S49] Marriage Certificate sighted and verified, spouses as recorded above, marriage date verified as recorded. [S132] Hazel Wiley, July 2008. [S196] Find A Grave, online www.findagrave.com.